We’re grateful that sun protection has evolved past the smelly creams and sprays our parents would make us apply as children. 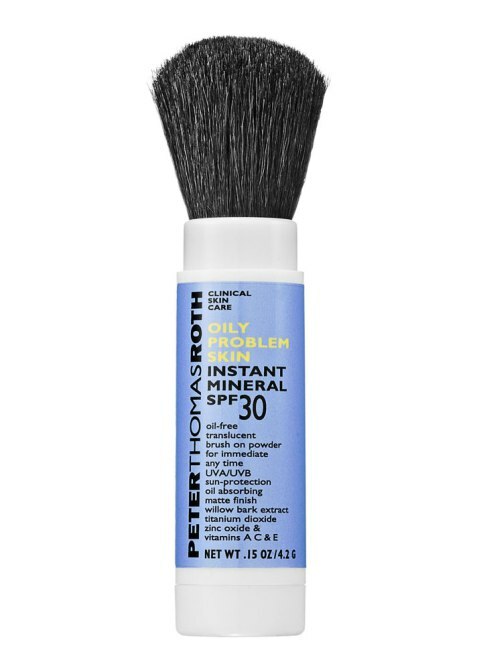 Unfortunately, we still need someone — anyone, really — to remind us that wearing SPF doesn’t have a cutoff age. Sunscreen isn’t the sexiest product in our beauty arsenal, but with sun exposure rising to dangerous levels (hello, global warming!) and the always-looming threat of skin-related disease, there are simply no excuses. 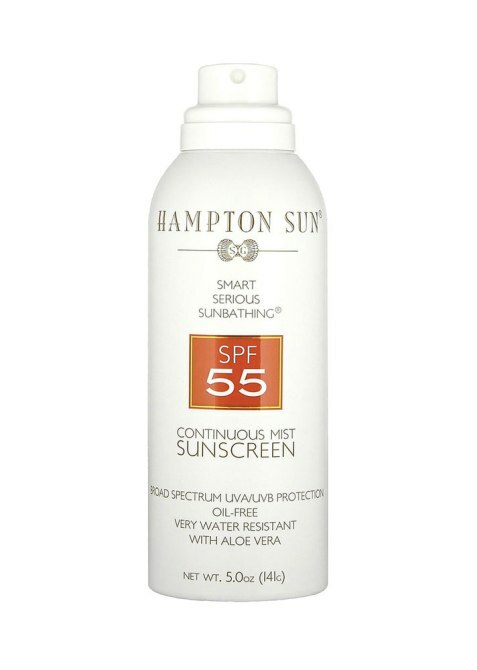 Even if you’re running out the door every morning and forget to apply sun protection somewhere between your moisturizer and foundation, setting sprays and powders are the clutch last-minute skin saviors that may not cover your entire body, but at least shield your face from the elements. 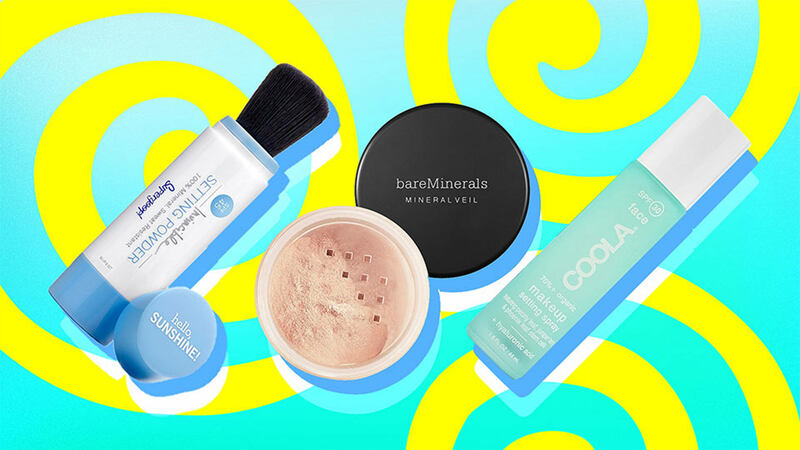 Whether you prefer a dewy setting spray or matte powder, ahead are the best-selling finishers with SPF for when you forget to slather on the sunscreen. 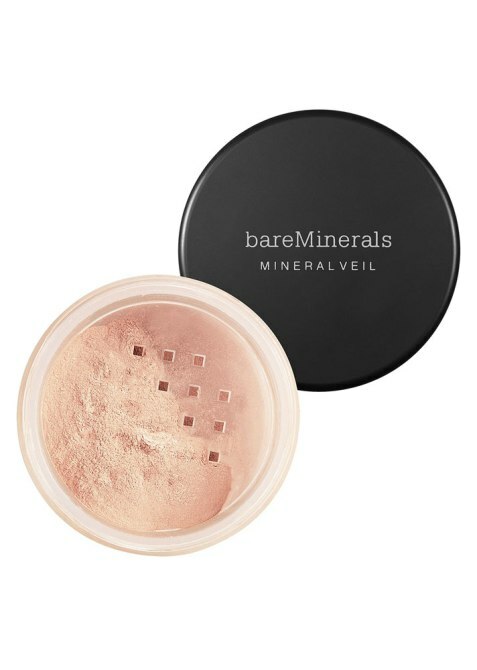 This loose powder is available in translucent or tinted form to protect the skin from UVA/UVB rays while blurring the appearances of lines and creases under makeup. Talc-free and dermatologically tested, it also absorbs oil without stripping the skin of moisture. 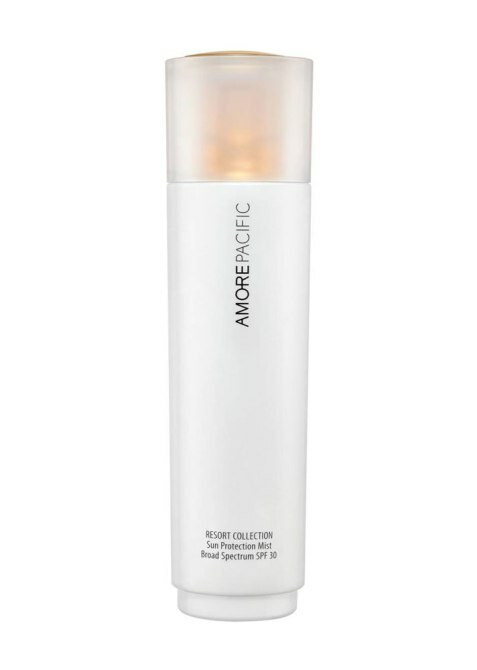 Expect just a hint of luminosity when you apply this lightweight vegan formula over makeup that needs help staying put. The open-and-close function of the brush applicator also makes it the perfect on-the-go travel companion for your purse. If you’re prone to greasy skin during the spring/summer seasons, this talc-free matte powder absorbs excess oil while also protecting the skin as it’s exposed to the sun and other environmental stressors. This luxurious formula is chock-full of skin-saving ingredients, including plum extract for healing heat damage, matsutake mushroom and bamboo sap for moisture and, of course, ample sun protection. Made with 70 percent certified-organic ingredients, hyaluronic acid (for moisture) and aloe vera (for calming irritation), this setting spray is for anyone who doesn’t want to sacrifice their makeup for the beach or other setting with excess sun exposure. This water-resistant formula, free of chemical fillers, is built to last through two hours of physical activity. 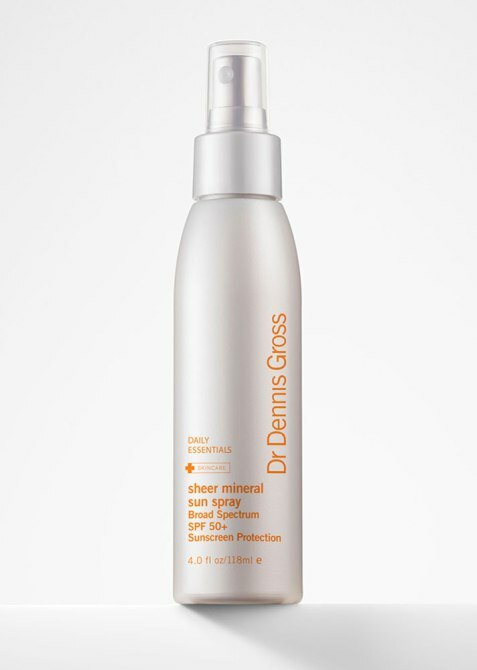 Even if your skin is already wet, the formula dries sheer without leaving a tinted residue behind. The oil-free formula, enhanced with the brand’s signature Privet Bloom scent, sprays lightly and evenly onto the skin, providing your makeup or bare skin with a silky feel and sun protection too. 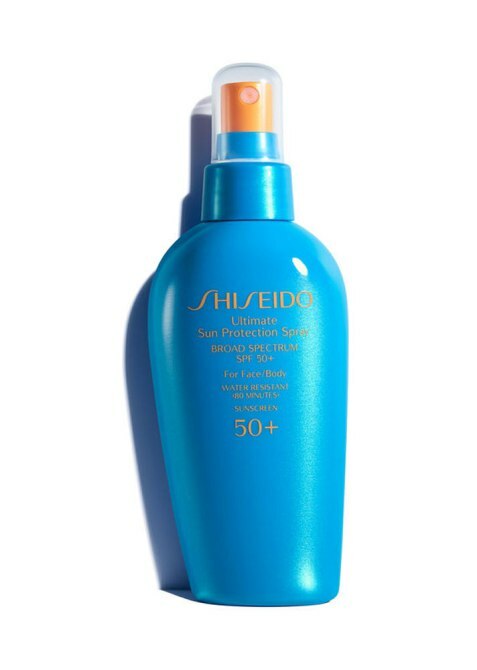 This SPF shield can be used on bare skin or over makeup to provide sun protection in and out of water. It’s also nonsticky, so if you’re playing in the sand, you needn’t worry about making a mess. 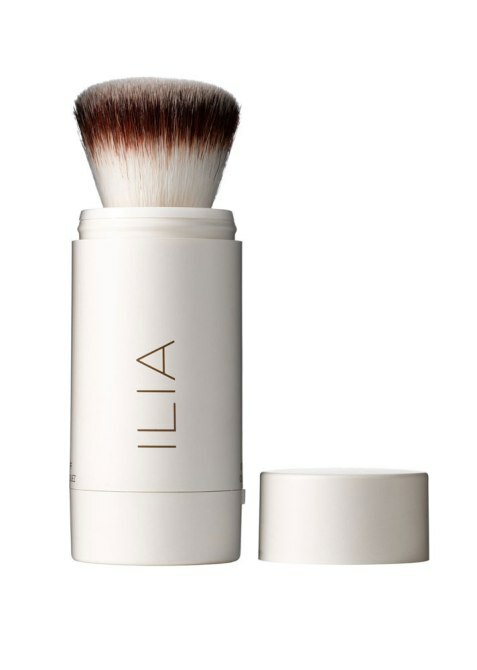 Mattify your makeup and brush on sun protection with this sweat-resistant formula housed in a travel-friendly brush applicator. 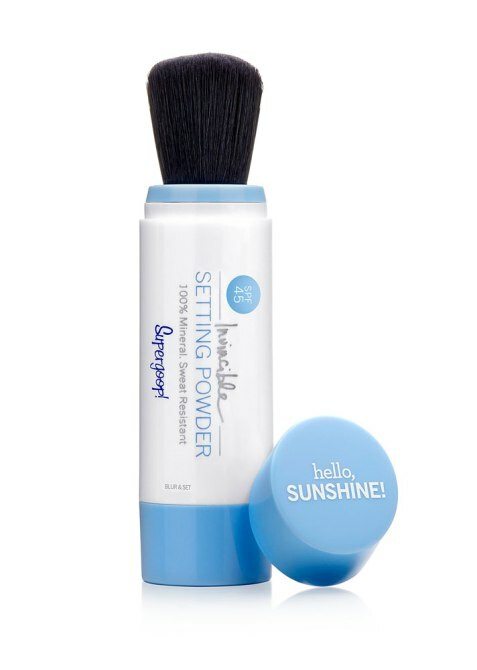 Invincible Setting Powder SPF 45, $30 at Supergoop!